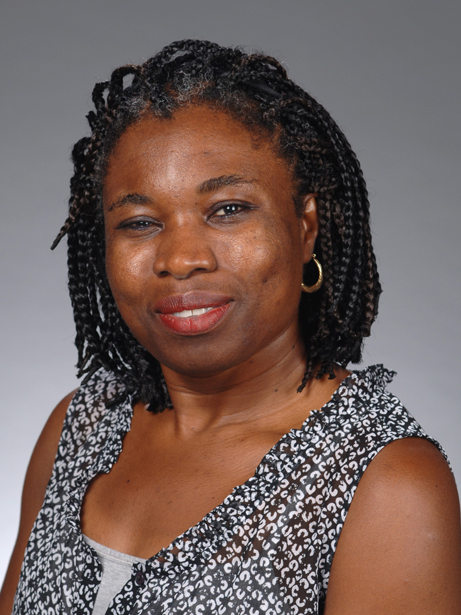 Mavis Agbandje-McKenna’s research interests center around understanding the structure-function relationships which govern the numerous array of intricate interactions that drive biological processes. The “system” she studies is viruses. They are the causative agents of numerous human diseases and lead to economic hardships due to their infection of plant crops and animals. They also serve as vehicles for the delivery of therapeutic genomic material to specific target cells and tissues for the treatment of genetic diseases. Agbandje-McKenna’s research focuses on both these extreme viral phenotypes. Her laboratory uses a multi-disciplinary approach (structural biology – molecular graphics, X-ray crystallography, and cryo-electron microscopy – combined with biochemistry, biophysics, molecular biology, and virology) to examine events that occur during viral infection. Agbandje-McKenna studies the ssDNA Parvoviridae, Circoviridae, Geminiviridae, and Microviridae that infect invertebrates to mammals, animals, plants, and bacteria, respectively. The goal is to obtain information for the development of treatments of diseases that afflict humans, animals, and plants, in the form of viral vaccines, foreign antigenic delivery, and gene therapy systems as well as peptide and small molecule capsid assembly disrupters. The most advanced studies are on the Parvoviridae and the Geminiviridae. The Parvoviridae projects, funded by several grants from NSF and NIH, include basic science studies aimed at deciphering fundamental mechanisms of successful capsid disassembly/assembly, genome packaging, host tropism, and pathogenicity (NSF), as well as studies aimed at improving the efficacy of Adeno-associated virus (AAV) vectors, a gene delivery system that has shown great promise for therapeutic applications (NIH). Several of Agbandje-McKenna’s NIH grants are in collaboration with investigators working to improve the efficacy of AAV vectors through capsid manipulation. As the national and international “go to” lab for AAV structure information, Agbandje-McKenna has published several collaborative papers with top scientists in the field in high impact journals including J. Virology, J. Biological Chemistry, J. Immunology, J. Structural Biology, Molecular Therapy, PNAS, and Virology. The Maize streak virus serves as her model for understanding the assembly of the unique plant Geminiviridae capsid, funded by NSF. These viruses are responsible for major yield losses in food crops worldwide. Despite efforts to engineer resistant plants, infectious outbreaks are still prevalent. Agbandje-McKenna is adopting a structure-based approach towards generating molecules/peptides that would disrupt the assembly of the geminate capsid as a means of virus control. Outcomes of this project have been published in Virology.